While there are frustrating elements of dating, no matter how you meet your date, online dating comes with its own heap of issues. Chief among them? The person does not match the photo. We’ve all heard the story (or lived through it): you find a hottie online, and then they show up to the date and they’ve a) aged 20 years, b) become addicted to meth, judging by the number of missing teeth, or c) gained a few dozen pounds. Even though putting a fake or misleading photo up on a dating site is the worst idea ever – you realize the point is that you’re going to meet IRL at some point, right? – it seems that far too many of us are still doing it. 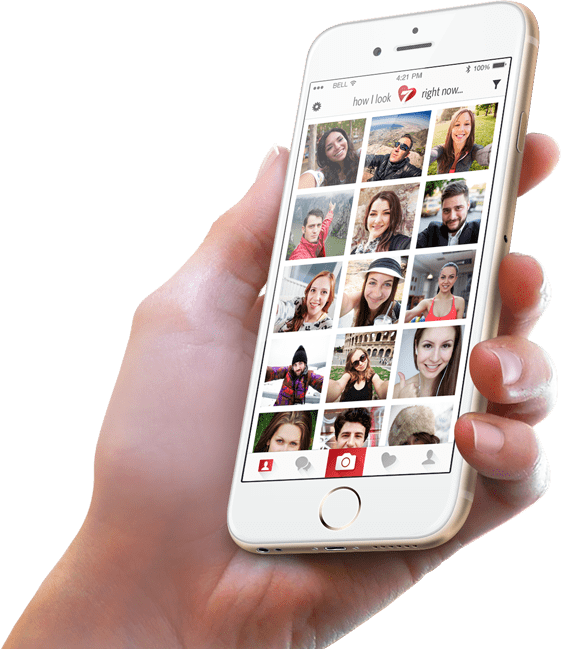 7heaven is a dating site that aims to fix the false photo phenomenon by using people’s selfies as the profile pic – but only selfies that have been taken in the last six hours. As a result, you’ll see your potential paramour in a variety of situations, from a few different angles (although, let’s be real: most of them will be from above) and in less than professional lighting. Each profile will also have selfie galleries, a list of their interests, and some basic demographic info like age and what they’re looking for. Like most dating sites, users will be able to message each other if they like what they see. Now you might be thinking – who’s going to take an ugly selfie? That’s a good point. Most people who takes selfies know their best angle, for example, and how they should smile to make sure that their crooked tooth isn’t showing. However, for most people, selfies are an imperfect art. 7heaven is offering a users a probably-nicer-than-normal-but-still-accurate reflection of other singles out there. Basically, it’s much harder to curate. And of course, 7heaven will be populated with people who have self-selected because they like to take selfies. There are strong opinions around the popularity of taking pictures of yourself super often (like, say, every six hours) but if you’re in the pro-selfie camp, it could be the right site for you. 7heaven hasn’t launched yet – it’s due out in March of this year – but if you’re interested in trying something new, head on over and check it out!